History: Home > Yeoman (previously Lion of Kent, Kentish Yeoman). My first visit since the recent refurbishment. There were sincere apologies from the staff because the Harvey's was not quite ready but the alternatives were quite acceptable. I was invited to a free breakfast early next week when they will be doing a trial run before opening regularly in the morning. About the Yeoman (previously Lion of Kent, Kentish Yeoman). 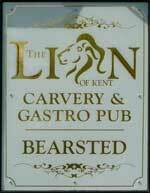 The pub is found in Bearsted, Kent, ME14 4BT. 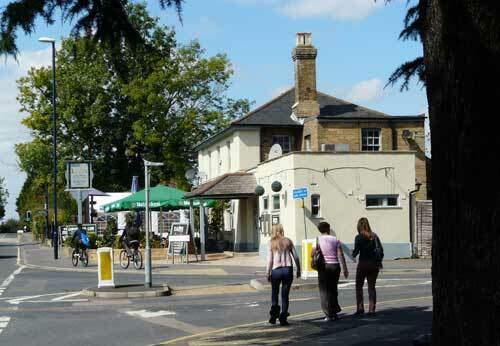 In Ashford Road, a community pub featuring a single, large, L-shaped, wooden bar and a restaurant with a carvery. It closed in 2018 for a refurbishment and reopened on 7 November 2018 as the Yeoman and now a high-class restaurant. We have visited this pub 5 times, seen 35 different beers and tried 11 of them.